Drugs containing botulinum toxin are f-drugs used in different dermocosmetic applications, such as skin rejuvenation and sweating. By injecting these durgs into problematic skin areas, wrinkles on the skin can be reduced and a solution to the sweating problem can be found. This dermocosmetic method, commonly referred as Botox, has long been known worldwide to people who want to rejuvenate the skin. The low possibility of observing side effects and practicality of the method make botox as the most commonly applied dermocosmetic application. 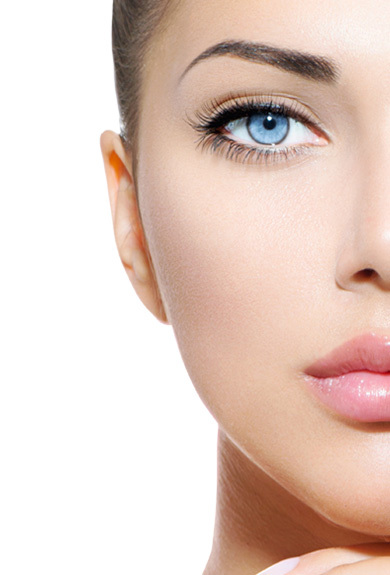 Both men and women can apply to botox application to remove skin rejuvenation and wrinkles. After waxing of local anesthetic creams to the skin, application is made by injecting the protein obtained from Clostiridium botulinum bacteria into the skin. Botox application can be made to the forehead area, cheeks, lip and mouth circumference, nose, wrinkles between eyebrows, lines in the neck area, traces around the upper lip, jaw area, palms and underarms to remove extreme sweating. The part of the body where the botox will be applied may vary according to the request and need of the person. Botox is generally known as an application that disables skin musces for wrinkle reduction and skin rejuvenation, but it is also used in the treatment of excessive sweating. Botox is applicable for whole face skin by making temporarily paralyze the muscles under skin, thereby improving wrinkles. It reduces wrinkles, eliminates facial lines, gives tension to the skin and helps to rejuvenate at the same time. Along with the variation with person to person; after botox is applied, the effect lasts for about 4-6 months. When the effect of the first application is over, the duration of retention becomes longer. Nevertheless, we want to remind you that these durations may vary according to people’s lifestyle, eating habits, age and skin characteristics. After the application, the person may continue his daily life without interruption, the effects of the application occur within a day or two. Botox, which is a practical, fast-paces and painless method, reduces the traces of time and leads to results that rejuvenation of the person. People with excessive sweating problems also sweat in the summer and winter months. There is a serious increase in sweating complaints, especially when the air is warmed up. Sweating, which can occur when sweat glands work much more than normal, is a problem that reduces quality of life. It affects the education life, work experience and private life of the person; it may cause the person to be exposed to psychological influences which may incude going from being away from the society. Botox application can reduce the sweating problem that arises in underarm, hand, foot and face areas. In order to deactivate sweat glands which are working more than normal, botox application is performed to the nerve endings. The effect is fet after a day or two and it is possible to get rid of the excessive sweating problem on the average for a period of six months with a variance from individual to individual. WHAT ARE THE ADVANTAGES OF BOTOX APPLICATIONS? Botox administration, which is among the minimally invasive dermocosmetic applications, is completed in 5 to 10 minutes. The face is cleaned and local anesthesia is applied before the procedure starts, then botox injection is done. Thus, during application the person does not feel pain. Side effects are almost never seen when performed by specialists. One can immediately return to daily life and most mild redness occurs. Botox application is efficient, especially when combined with other skin rejuvenating treatments, such as filling which leads to a marked change in the person. The website “www.clinicbaytekin.com” has been prepared with the aim of informing people about Aesthetic Plastic Surgery without any commercial concern and does not provide any healthcare service. Diagnosis and treatment must be performed by a doctor. It has been only prepared for the website visitors for informational purposes, but not for referral. It should not be interpreted that the operations in the section “Services” of the website are implemented in the clinic, the information on the website and the clinical applications may differ. Any kind of healthcare service is not provided to substitute a real examination, diagnosis and treatment through this website. Information on this website cannot be used for the diagnosis and treatment of patients. The visitor and the user have the full responsibility arising from the use of this website content for this purpose. People who visit this website are deemed to have accepted these warnings. Since the information on this website cannot be updated every day, it is correct that information should be checked by the visitor consulting the doctor.